From the very beginning, we have worked to offer more and each day in terms of language education and activities. Thanks to the success of our courses and the response from our students, we have grown understanding what is expected and needed in learning a language. BCNLIP employs modern methods in language learning, but also remains traditional in traditional, with a family atmosphere and centennial architecture. For us, each one of our students is special and for this reason we adapt to fit the rhythm and schedule of our students. 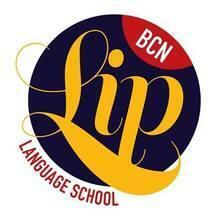 For many of our students, BCNLIP is not only a language academy, but also a real life experience. 1. Non verbal communication in Spanish through a session including: relaxation/concentration/unblocking/active listening/body expression/emotions/sense of humour. 2. Verbal communication in Spanish through a session including: voice/diction/pronunciation in Spanish and aspects such as onomatopoeia and body language in relation to Spanish culture. 3. In addition, we will work on different aspects of speech such as public speaking/conversation/explaining subjects/interviews and other relevant points which can help you communicate better. And as we don’t want you to bet bored, we will use games and theatrical activities including improvisations, small monologues, dramatising scenes and sketches. We will work on different situations, misunderstandings and confusing incidents that have happened to us all living in Barcelona! We will discuss Spanish and Latin American cinema and theatre. We’r e sure you would like to act out scenes from Almodovar’s films as if you were Penelope Cruz or Javier Bardem and speak like Cervantes did, or even better like El Quijote or Sancho! For your next Spanish class, we encourage you to go for it and get closer to having this great experience. The goal of the workshop is to clarify any grammatical doubts that the students need to reinforce. The content will be adapted for each level. Based on grammar questions raised by the students, a small grammatical explanation will come, followed by different types of written and oral exercises with the aim of focusing on and internalizing the rules. Corrections will be carried out by the group and by self-correction of the student in order for the student to realize where their problems reside so that they can fix them. The goal of this workshop is for students to be able to handle themselves in different daily speaking situations adapted for their level, while interacting on topics of common interest. We strive for the students to be able to lose their fear while raising their confidence in expressing their opinion in another language. From the proposal of a real life situation or topic, we proceed with oral practice. The work will be done in small groups, individually or in pairs. At the end of the workshop, common problems will be acknowledged and techniques to overcome them will be discussed. Our professors are highly qualified to get you prepared for obtaining an official certificate. We will advise you on everything possible and strive so that you can receive high marks. Official certificates are very useful for you curriculum in that they provide proof of your language level. With a little dedication you can achieve international recognition for all your hard work. Keep in mind that there are specific dates for the exams, so you should set a study plan in advance. Present yourself and give personal information. Apply for or grant a bank loan. Create advertising campaigns and report on the services of a company. Intensive Spanish 10 hours per week . Intensive Spanish 20 hours per week. Intensive Spanish 30 hours per week.